I know this because I took a quiz on a website designed by the drug company who sells the only FDA-approved treatment (brand name = Nuedexta, by Avanir Pharmaceuticals) for this “medical” condition. It’s not good news because — after I turned 50 — I also took quizzes that suggested I may have low testosterone and ADHD. 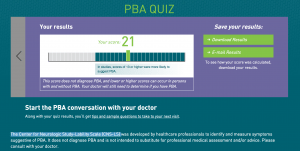 But the PBA concerns me most because one of the doctors who devised the screening questionnaire — called the “Center for Neurologic Study – Lability Scale,” is the same doctor who devised the treatment for PBA. 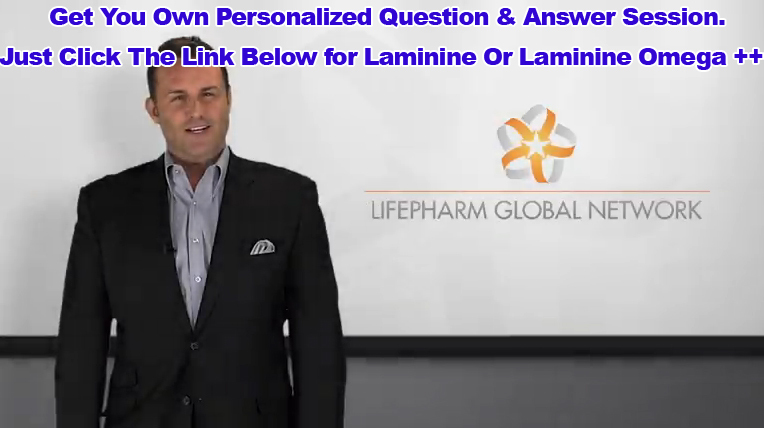 He also consulted for Avanir Pharmaceuticals from 1995 to 2006 …. so he should know. Let me be clear here: these conditions are very real. 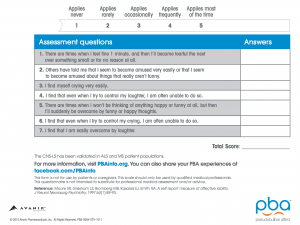 And a small percentage of people with these conditions will experience the severe mood swings that characterize pseudobulbar affect; which is defined as sudden and involuntary episodes of laughing and/or crying that seem exaggerated, and possibly inconsistent with a person’s predominant mood at the time. 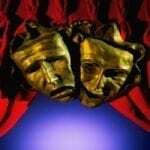 No one knows what causes pseudobulbar affect. It’s hypothesized that the neurologic mechanisms for controlling mood and affect are somehow damaged by the above neurologic conditions. First, the potential to medicalize what may well be a normal spectrum of emotions, into a disease requiring treatment, is significant here. We’ve seen this before with ADHD and low testosterone … two conditions characterized by a spectrum of vague symptoms that often overlap with common diseases. Many people could be convinced they have a “disease” that actually do not. What ensues from this is not benign and includes unwarranted treatments, financial hardship (Neudexta costs $700 a month for twice daily pills they recommend you take for the rest of your life), and possible stigmatization. Secondly, we are seeing this medicalizing strategy more and more from pharmaceutical companies. The key first step is to medicalize symptoms that are both common and ambiguous. Second, craft a questionnaire in which the questions themselves are generalizable enough that your final score — which looks and feels official and “scientific” enough — makes it feel reasonable that your next step should be to “ask your doctor.” The seed of anxiety has been planted. The drug company has shifted responsibility over to the doctor, and they can rationalize it all by saying their advertising is both good public health (i.e. it will help identify undiagnosed cases) and it’s for the educational benefit of the general public (rather than the company’s financial benefit). 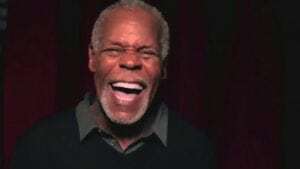 Danny Glover laughs uncontrollably in Avinir-funded PBA ad. Third, if you have the audacity to challenge such medicalization, you will quickly be accused of being insensitive: “You show no respect towards those who suffer from ____” (ie. ADHD, low testosterone, pseudobulbar affect, etc.). On the contrary, those who expand criteria for these conditions beyond existing evidence, for the purpose of making massive profits, strike me as not just insensitive, but overtly manipulative and self-serving. Finally, as reported by Julie Appleby of Kaiser Health News in a New York Times article last week, the marketing of this $700 a month drug raises ethical concerns. Appleby goes on to report that “Nuedexta’s sales rose to $218 million last year from about $37 million in 2012,” even though it doesn’t “cure” … well … doesn’t cure what? A disease? Some critics call it “medicalizing normality.” Others label it “medicalizing the human condition.” But regardless of what you call it, there is clearly an undeniable slippery slope begging questions like this: at what point does bereavement, inattentiveness, deviance, social awkwardness or — as in this case — outbursts of tears or laughter, become a disorder requiring a chemical intervention? Avanir Pharmaceuticals wants you to know that PBA is ” a neurologic condition … not psychological … you can take a self-assessment to see if you might have it … and you can learn about it from patient stories.” To prove this their website is full of patient stories … told by actors who don’t have PBA. Is it possible that pseudobulbar affective symptoms associated with real neurologic diseases are underdiagnosed? Yes. Is it possible that PBA is being marketed to us as a disease — by the only people with an FDA-approved treatment for it — even though it may not be a “disease” at all? Yes. And is it possible that a host of people will take the quiz — like I did — and end up simply medicating that wild and unpredictable roller-coaster ride we call life? That answer I’ll leave to you.